Part 2 of my ramblings are here. What is the problem with intellectual disability? Can’t get a job. Can’t read. Can’t talk. Can’t understand. The notion that intellectual disability (ID) is negative seems a matter of common sense to quite a few people. It is one of the often cited reasons in commentary and articles that advocate for research with an eye towards “curing” Down syndrome. Neither side seems to refute the idea that ID is intrinsically bad. It seems to be a given. I’ve mulled over why this is such a given, and figure it’s worthwhile to look at the definition of intellectual disability. I read this and fully understand that ID is real. There are people (including my son as he grows up) who meet these criteria, and may have lives that look different than that of a person without ID. What I’d argue instead is that intellectual disability is socially defined and there’s nothing inherently wrong with or bad about falling into this category. (Read: Only bad if we say it is bad.) In fact, I’d argue that intellectual disability doesn’t mean a categorical lack of intelligence. The longer explanation… read here. (It is a good read, check it out.) You see, our traditional definition of intelligence is quite narrow. IQ tests measure math and language abilities, maybe spatial. What would happen if we looked for, valued, and nurtured other kinds of intelligence? Then we get to the issue of having “significant limitations in adaptive behaviors”. Some are entirely socially dependent. Our reliance on spoken word limits a person who doesn’t speak. Our monetary economy limits a person who can’t use an ATM. I’m even going to say that some really basic self-care criteria are socially dependent. Say a person cannot manage to shower once a day, shave, or use deodorant. For most Americans, this would be a problem, and that person would be labeled as having difficulties with self-care. Well, news flash. Removing body hair, daily bathing, and deodorant are not absolute necessities to self-care. Disposable razors, indoor plumbing, and mass-produced hygiene products have all influenced what our idea of “normal” self-care is. Some of this stuff only matters because we say it matters. Could there be some aspects of having intellectual disability that are bad? Sure, there could be. That would likely be for the person with the ID to decide, and would be perception based. That is more about the experience of having it, rather than the ID itself. So if we value human life, then can’t we expand our ideas of what is normal and good? Why are people so quick to think that the only way to is to “cure” Down syndrome? Can’t we find more ways to communicate other than spoken word, expand our definitions of economic value, and just care a bit less about outward appearance? Is the problem that people with intellectual disabilities are (wrongly) considered a drain on society? Well, we are all drains on society. The give and take is the glorious interdependence of the human species, and we are collectively stronger for it. No one questions people with medical needs as deserving of medical assistance. No one questions people with emotional needs deserving help and support. Why do we question a person needing assistance due to an intellectual disability? It should be a given that we support our fellow human beings, because we all need support, period. Right now, the research is about understanding the effect of having a third copy of the 21st chromosome by being able to silence it, in a petri dish. It is far from a “cure”, yet some quickly rejoice at being that one step closer. Maybe in the future, a person will be able to choose gene therapy to change the function of her brain, just like we can now choose to change our bodies through surgery. My guess is that it won’t be complication free, just like surgery is not complication free. Maybe if it means avoiding a neurodegenerative disease, it’ll be worth it. Heck, maybe in my child’s lifetime there will actually be a way to “cure” Down syndrome, but there isn’t now. In the meantime, I’m afraid. I’m afraid that the assertions that there is an inherent problem with Down syndrome are growing and multiplying. I’m afraid that all this talk of “curing” Down syndrome will actually sway the course of scientific research away from finding treatments for real medical conditions. Most of all, I’m afraid that despite the hope I have today for a more inclusive society, my child will be ground down by a world that dreams of curing his very genetic existence. I’m afraid that despite all my efforts, one day my child will look in the mirror and believe there is something fundamentally wrong with the person looking back at him. The thing is, he seems just right to me. Next up: Fear of Difference …and then I promise to shut up about this topic. I remember being where you are philosophically. My adventure with Down syndrome is now 16 years long. I have tried to change our corner of the world to accept, maybe even embrace diversity. I have had moderate success. Faith has always been in general education classes and will be the first student in our county to participate inclusively in high school. She dances with typical kids in regular dance classes. But, as she celebrates her 16th birthday, she doesn’t have a best friend, she won’t be getting her drivers license, she won’t be hanging at the mall with friends. If we lived a simple life somewhere that all this didn’t matter she would fit in better. But we don’t, and it does matter to her. That is what is important, it matters to her. 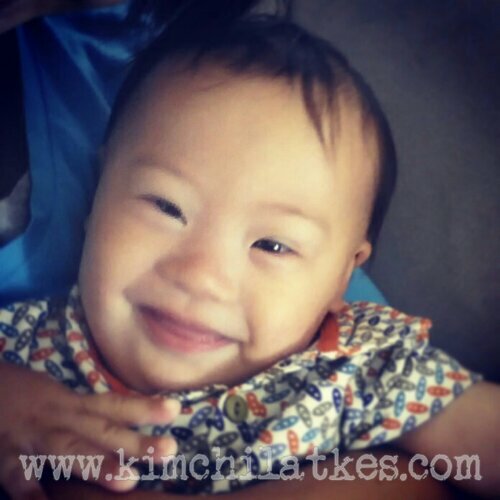 Down syndrome around the world is being eradicated through detection and abortion. I am happy to see a cure that may save these babies and improve life for others. For many years the only “cure” being developed has been early detection for earlier abortion. With a dwindling population of people with Ds there will be more and more difficulty for acceptance. They will become more and more different. And as much as our society claims to embrace diversity, it doesn’t, sadly. I don’t have a blog, but maybe I should ask my grown daughter how to do that! It is super easy, I’m proof of that! Oh Paulette I’m far behind you on this journey and you are right but not everywhere. FIND FRIENDS and foster all strong relationships. Lovely children are everywhere. Find your true friends and be the success – you already are. College will be better but older high school kids are nicer and more confident. Start a new diversity club. You will find members. Good luck and join Facebook groups – we younger families can use your guidance!! Faith and hope for your long journey. You’ve paved a way for us now your daughter will find hers and move our cause further than we can even imagine now. She shines her own light, I can feel it here! As for a friend with Ds, we have a local group and she loves the monthly meetings. She gets along well with the young adults with Ds. But, there is not another girl her age. As far as I can tell there is not another girl her age with Ds in our county. That is the sad reality of the elimination of Down syndromes rom our society. I don’t know where you live but this is something I’ve wondered about, as not all places will have a huge community of ppl with Ds. Not that ppl with Ds must be friends with other ppl with Ds, but it sure helps to feel like you have people “like you” who are the same age. I think about this as well, what will happen in ten/twenty/thirty years with the new prenatal testing. I think ppl with some of the more rare genetic syndromes must feel like this already. I read one father once say that he was jealous of the visibility and numbers that ppl with Ds have. His child has Angelman syndrome. Yes, that is the stark reality of prenatal testing in this generation. So, so sorry and hope you find cousins & other kindred spirits for yourselves and your daughter in the long run. Odd places like online can bring very good and interesting connections! Oh, please don’t shut up about this! Your writing is extremely thought-provoking and worthwhile! Of course, if you want to take a break in order to share some more tater-cuteness, that would be great too…..
Ha! I think the Ds community is talked out about this topic, but I can’t seem to get off of it. I don’t want to make it sound like I’m droning on and on and being a big negative Nancy, but I can’t seem to get off the topic! The problem is that your article is dead right and that view & FEAR of ID is why 92% of babies with DS are aborted AND the medical community strongly encourages this treatment. Mirrors will not impact your son; he has the better more rational genes. The mirror is for seeing the moral fiber & character within the rest of us. Think about the first question you get–did you know? It has an implied without intention of course but — really is says did you choose/why is he here? I’ve spent a TON of time debating this topic in my mind- the medical issues are one thing; it’s the ID that people fear/can’t overcome and it kills me cause we ALL need help eventually or at some point in life. Why fear that?? Yes, I think this is true. The ID is the thing that terrifies people. To be honest, it was what freaked me out in the beginning. But just like you say, when you examine that, it becomes pretty clear that a lot of the stigma is based in a lot of messed up priorities or simply false thinking. I think part of it is the American over-emphasis on independence. It’s just a fallacy. The thought of not living independently or needing help balancing a checkbook (or avoiding that task like most of us!). We fear knowing ahead that we may not be conventionally defined by western monetary/material standards “successful”. Oddly enough we REQUIRE our disabled adults to own no money or assets to get any assistance. It’s just messed up priorities. Yes, we have an enviable level of shared journey and challenges despite being unique conditions and combinations of conditions. However, I personally see a TON of overlap in so many areas that we can all help each other in many areas. I know a family with that condition and it is tough but we do share aspects of our challenges and there are national groups connected with angelmans; and can participate in our groups too for many common situations. Sorry, I didn’t mean that there aren’t shared experiences, more just that while we think that people with Ds are invisible and don’t have resources, there are other groups with fewer numbers who look at Ds and think that it gets quite a bit of attention in comparison. Something I was musing on since we were talking about the population of people with Ds shrinking.